-It is a renovated cosy and clean fully equipped apartment in a stunning area close to everything. Sans Souci is a really wonderful area to live in! 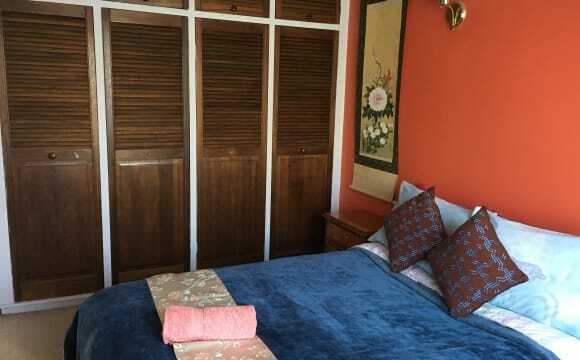 -You will have your own spacious furnished bedroom with en-suite toilet. 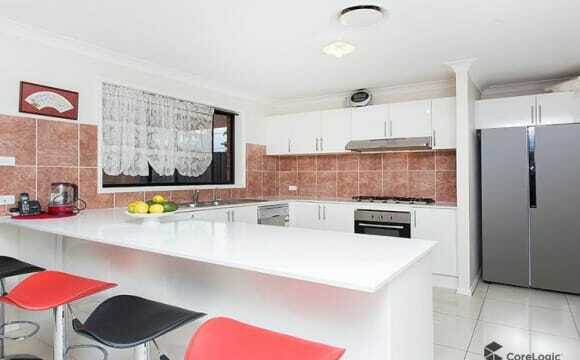 - The kitchen is fully equipped, so feel free to cook your own food. -Sans Souci Leisure Centre and gym is located across the street The apartment is close to public transportation. There is a bus that goes straight to the city and many busses that goes to Miranda, Kogarah and Rockdale train station (line that connects the wonderful Bondi beach with Cronulla beach). -There is plenty parking on street if you drive. -You can enjoy beautiful walkings by the river which ends up in Ramsgate and Brighton Le sands beach. 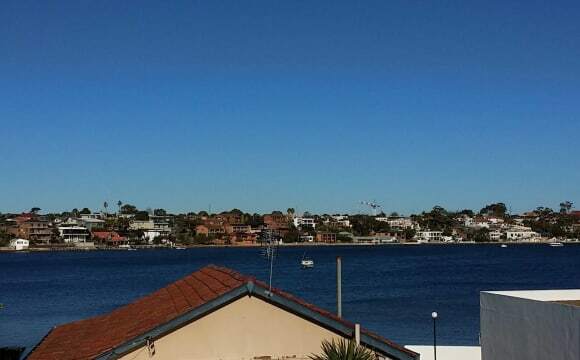 The house is a beautiful 4 bedroom house, big and it’s got the feel of a luxury retreat, it’s one block away from the water, Kograh bay, you can borrow our kayaks :) and only a few blocks away from the start of the walk in Dolls Point, great for long walks or bike rides along the water. There’s also a few different separate areas in the house for the times when you want to just chill out by yourself. 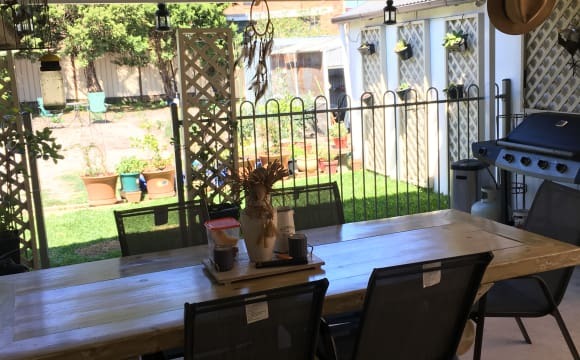 The house is in a very nice and peaceful area, the backyard is very nice and peaceful also, great to have your breakfast in the morning with the sound of the birds. There are shops and restaurants close by, and A bus stop two blocks away. Parking is very easy and lots of street parking right in front of the house, it’s a wide and quiet street. 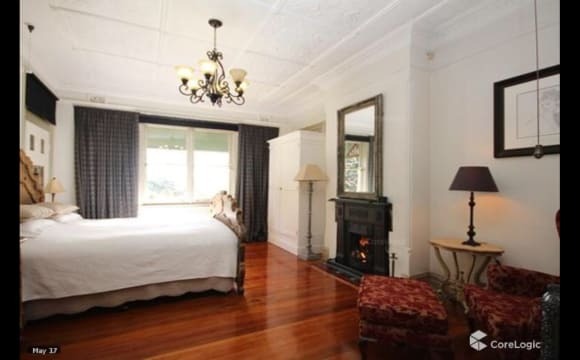 We have 2 rooms available, the smaller one for $300pw and the bigger one for $400pw. The smaller room has its own balcony onto the street and the bigger room has also its own balcony onto the backyard with nice views of trees and the bay. 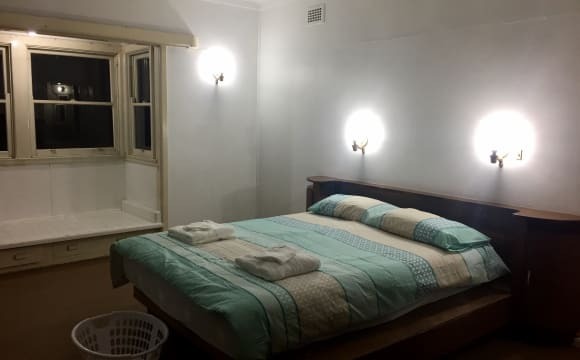 The bathroom is very big and it will be shared by you and the other person that we get to share with us, unless the housemate with the smaller bedroom wants to have their own shower, there is another shower downstairs, we have our own bathroom and shower. 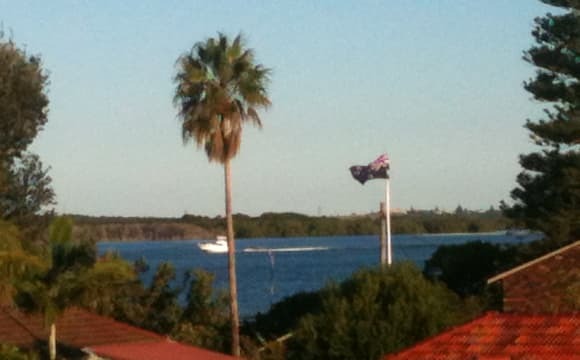 Three bedroom unit with water views from the lounge room balcony. Three minute walk to the beach at the end of the street. Currently two empty bedrooms. Bedrooms has built in wardrobe. You have your own bathroom (With a bath) and your own toilet. Lovely quiet area. Buses to Kogarah or Rockdale or Redfern or Miranda or Hurstville very close. Looking for a long term person. Last person stayed here for ten years. Must be non smoker (Strata rules). Additionally room can be furnished if required or a possibility of off street parking. 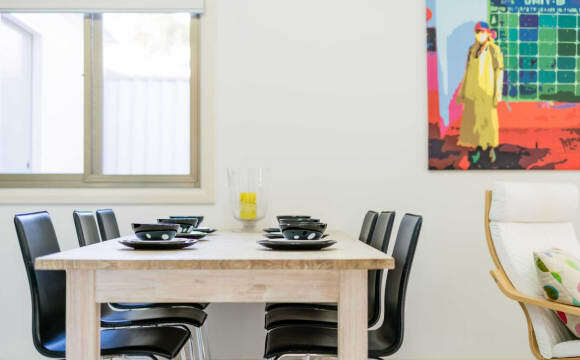 A modern, spacious 2-bedroom granny flat with air-conditioning located at the rear of a property in the beautiful waterfront suburb of Kogarah Bay. Close to the beach, cafes, restaurants, shopping centres and supermarkets. 15km to the city centre and 8km to Sydney Airport. 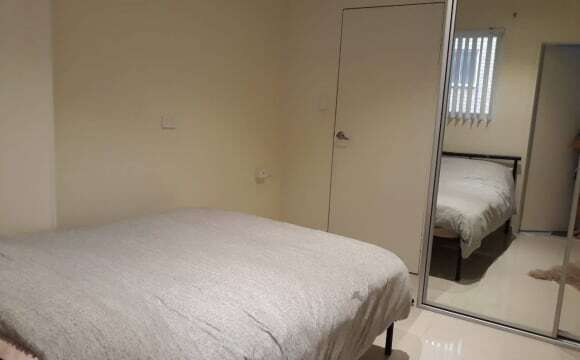 2 mins walk to bus stops servicing Kogarah and Hurstville stations (with direct trains to the city centre), St George Hospital, Ramsgate Beach, St George Leagues club, etc. ALOHA! QUEEN size room FURNISHED house CLOSE TO BEACH 2 bedroom villa 1 bathroom and separate toilet Fully furnished and absolutely equipped, you only need to bring your toothbrush :-) Smoking allowed only in outdoor areas Good size peaceful back-yard with ambient lights Internet access included in the price 50m to a beautiful park great for walks and a variety of sports 300m to a quiet beach perfect for swimming, long walks, paddle boarding, kitesurfing Plenty of off-street parking Close to the airport 20 min drive to the city 100m to the bus stop which takes you to Rockdale or Kogarah train station The Room: Ideal for a couple Built-in Mirrored Wardrobe Queen-size bed with bedside tables, tallboy and desk (all can be rearranged or removed) Air-con/Heater This was our much-loved home for the last 5 years and we just loved the position and beautiful surroundings. So close to an almost private beach and a long park, perfect for active people or if you just want to relax and unwind. Driving everywhere is also very easy and it only takes 20 min to Opera House. As we moved to QLD we have kept the house fully equipped and in very good condition. You will be sharing the house with two fun-loving and always laughing couple from the Czech Republic who really enjoy living there. We are looking for people who are willing to share but who still want to live in a modern, nice and clean place and keep it that way. Rent is $330 pw for a couple or $300 for single plus bills estimated at $30 pw. Bond is 4 weeks. The Internet is included in the price. Cleaning duties to be shared by housemates. Inspections can be organised by appointment, please register your interests by text. Please note that the one with a fully completed profile will get a quicker response. Long term stays preferred but short term is also possible for a higher price. Fully furnished and fully equipped, you only need a toothbrush. IDEAL FOR A COUPLE but singles are more than welcome. A rare, ultra-modern and spacious house with beautiful rooms and living areas. 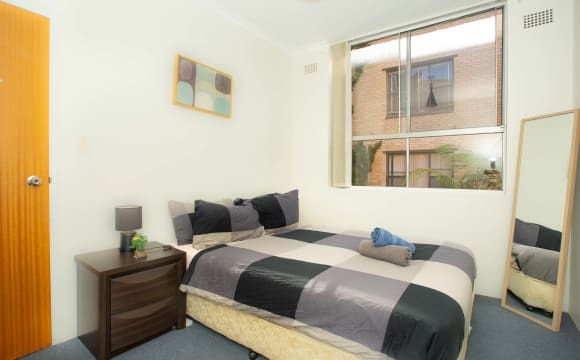 Location: Carlton Station is 9 mins walk. St George Public Hospital is 4 mins. Train to Sydney CBD is 20-25 mins; Westfield Hurstville is 5 mins. Beach is 10 mins by bike. 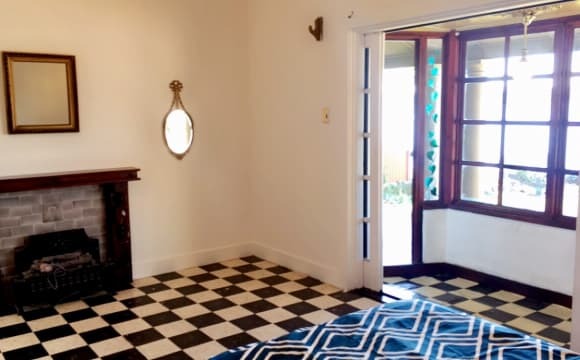 The house has 3 long-term tenanted bedrooms upstairs with a limit of one tenant to a room. I am now looking for one more female tenant upstairs. The rooms upstairs have a shared bathroom. 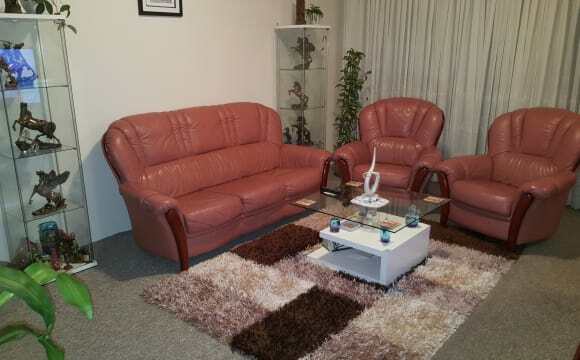 Fully furnished lounge room with TV plus laundry. Common areas and bathrooms are cleaned by my cleaner on Sundays. Rent Includes internet, water, gas, electricity on a fair use policy. Air-conditioning is optional but subject to your fair use, it could be included. If you are looking to live in a spacious, quiet, peaceful, private and clean surrounding, then this is it. If you need references, please ask. Inspections are by appointment only. 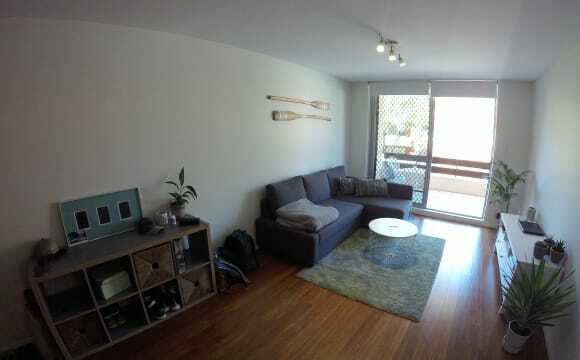 Have a big tv with Netflix, balcony (we accept smokers) close to Brighton beach and public transport.